Slightly less than a dollar gets you video tutorials on skinny jeans. 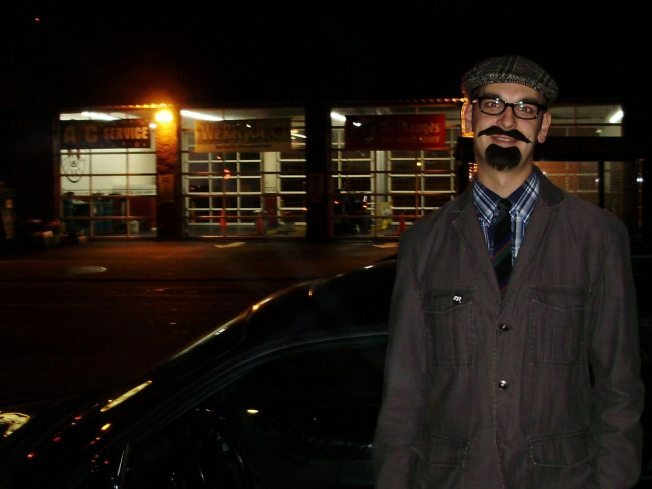 This guy actually could have used some help on his "hipster" halloween costume -- unless V.I. Lenin was a hipster (which, actually, he kinda was). If you're an iPhone owner with $0.99 to spare and raging social insecurity, get thee to the App Store and download BeVideo: Hipster. Yes, it's an iPhone application with tutorials on how to be a hipster. In its defense, it is cheaper than a heroin addiction. With tips on everything from how to build your hipster bicycle ride to how to make your own skinny jeans and pair them with vintage finds, it has everything you shouldn't need an iPhone app to know in order to mock other, lesser hipsters. Drinking "tallbros" in Dolores Park with a fixie of hipsters not your single speed? BeVideo also offers iPhone guides to being a gangster, a celebrity, or James Bond. So, clearly, this is all in good fun. Creating an iPhone app to capitalize on a few trends labelled "hipster?" Actually, pretty hip. Jackson West has lived every hipster cliché known to humankind, except for skinny jeans and iPhones.